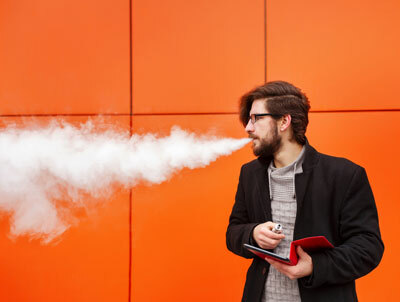 Among the multitude of misinformed myths that surround the subject of e cigarettes, is that of ‘passive vaping’ and the danger it might pose to passers-by and those in your vicinity. Think the vapour you exhale might be dangerous? Let’s take a look at what passive vaping means and if there’s any truth in the conjected conversation of naysayers. Quite simply, passive vaping is when you inhale the vapour from an e-cigarette being used by someone else. A somewhat unexpected shock, it might be easy to assume that what you’re inhaling is an unwelcome and uninvited foreign body invading your person. The added uncertainty and unknowing of a product that is still relatively new to many, makes the idea of passive vaping a potentially sensational and sinister health epidemic that requires immediate authoritative attention. But wait just one minute. Of course, that same feeling of unexpected shock at the intrusion of one’s personal space can also be attributed to some more familiar day-to-day occurrences. Take for instance a busy roadside promising Buena Vistas and picnic spots accompanied by an abundance of toxic car fumes. Or perhaps an overly fragrant aftershave or perfume that might linger a little longer than you want. The stench of grease being ventilated from the rear of your favourite restaurant. An overly bleached clean kitchen surface. Life’s perils are endless, aren’t they? It’s fair to say that our sense of smell can sometimes send our minds on some curious paths of ‘what if’s’, and that it’s more than feasible that perhaps not all of which we pontificate upon may be entirely accurate. Is Second-Hand Vapour The Same As Second-Hand Smoke? Because e-cigarettes and vaping are so closely linked with cigarettes, some may regard the vapour exhaled by a vaporizer to pose the same kind of danger and health risks that are associated with second-hand smoke. Smoke produced by cigarettes is harmful due to the nature of the tobacco and additional preservative chemicals burning and releasing carcinogenic toxins into the air. This toxic smoke inhaled by those around you, particularly children still developing their airways, are at increased risk of a variety of ailments such as meningitis, asthma, chest infections, coughs and colds. Research indicates that third-hand smoke (smoke residue left on carpets, clothes, hair etc.) may also pose significant harm to our health. In 2015 Public Health England declared e-cigarettes to be up to 95% less harmful than tobacco products and that vaping has the potential to help smokers eventually become smoke-free. Whilst research is ongoing into the long term effects of vaping and passive vaping, evidence suggests that the harm caused by second hand vaping is significantly lower than that of smoke. The heating of e-liquid, as opposed to the burning of tobacco, means that the contents of the exhaled vapour of an e-cig is an altogether considerably less carcinogenic affair than that of the smoke exhaled from cigarettes.